The brief outline for the SO8 development was one that stipulated stringent guide lines; the project must be maintenance free, whilst preserving modesty within the complex mix of historic and modern buildings within Bougainville Street. The close proximity to existing buildings and limited access to the site cemented the concept that the design was not in isolation. 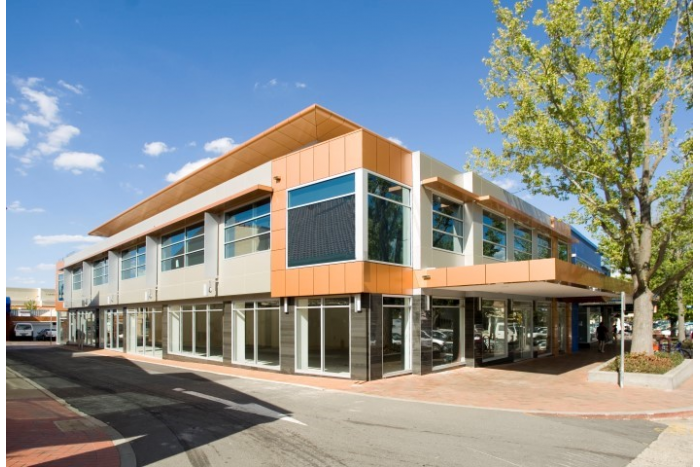 With this considered, the existing materials palette and architectural style of the street were borrowed, such that the new design would be aesthetically anchored within the site and the greater context of Manuka. The resulting design borrowed its scale form that of the existing street scape, and included elegant fenestrations that also maintain a dialogue between the scale of the building and the street. The colour palette of the building took influence from the red terracotta tiles of both the heritage buildings opposite and surrounding buildings in the alleyway behind the development. 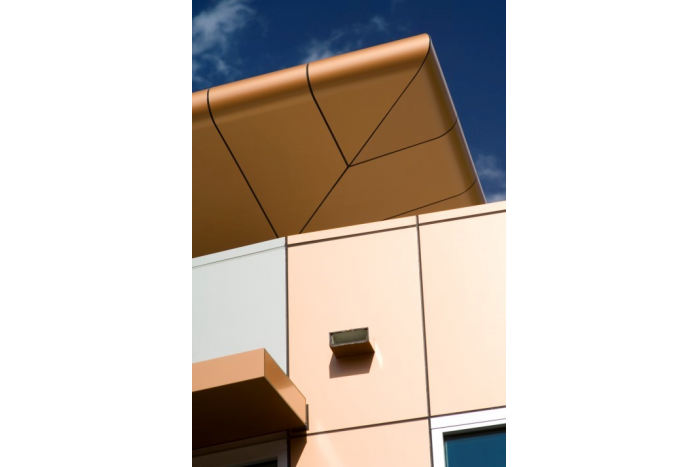 In keeping with the durability requirement of the brief, the building was finished with Indiana Copper Alucobond, which mimics this terracotta colouring. 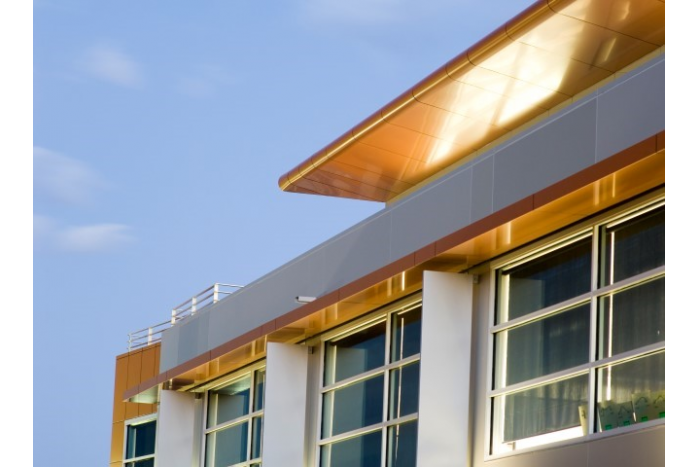 The decision to use of Alucobond panels on the entirety of the building, results in a project that will require nether painting, rendering nor patching over its entire life time. The materials used for the base of the building also required reference to the brief that required durability and contextual significance. Natural stone tiles were used on the column, to add weight and permanence to the lower ground level. The lower level of the building is also anchored to the site through the awning element that, as it previously existed, joins to the neighbouring structure. 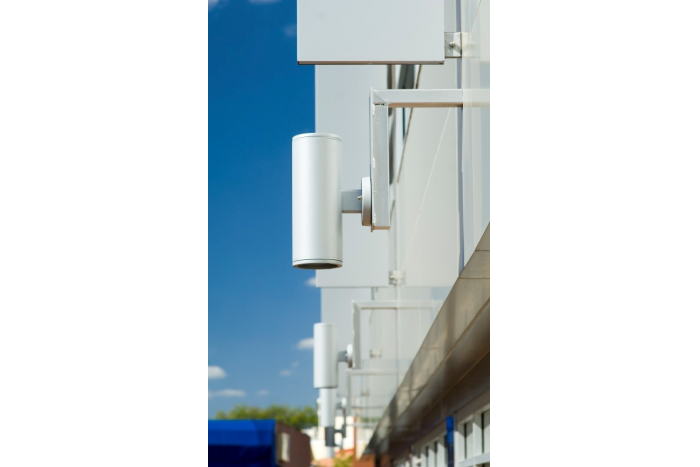 The entrance to the SO8 building is considerately defined by a specially defined canopy, which offers the public a clear programme from the outside, through to the lifts and lobby inside. The use of a mezzanine level is uncommon in the Manuka area; however it was viewed as virtuous in the SO8 building, as it acts as an extension to the outside terrace. It enables the patrons of the building to use the terrace as a recreational space for barbeques, meeting and as a function space. The terrace itself was designed to take full advantage of views to the north east, and act as a pleasant outdoor setting that captures the character of Manuka. 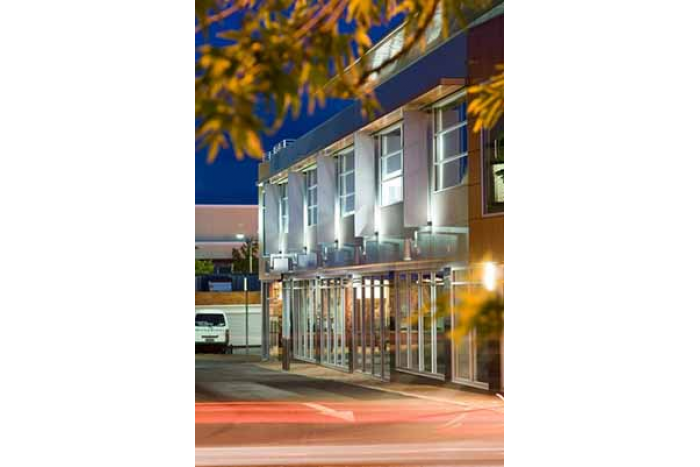 The utilisation of operable windows throughout the first floor and mezzanine permits greater air circulation, resulting in climatic control of the building by the patrons, and decreased reliance on artificial air conditioning. The instillation of double glazed windows also aids thermal comfort, whilst inhibiting noise pollution from Bougainville St. The extensive, use of fins and sun screens on the façade were necessary to cut the penetration of the harsh westerly sun into the building, in the afternoon hours. The characteristic deciduous trees of Bougainville St also contribute to sun shading in the warmer months, when it is particularly vital. As a graceful contribution to the streetscape, light fittings were placed over the northern facade, such that they will shine over the fins, creating an elegant luminous effect in the evening.